Jim Cameron's brilliant series of posters for the Ridley Bikes Scottish Cyclocross Series are now available in printed form. Jim is printing a limited run of these in Glasgow on high quality 190gsm satin poster paper. 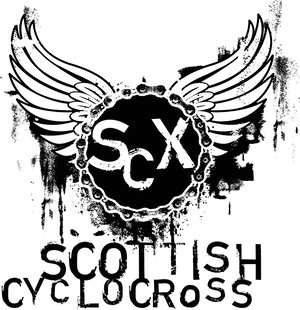 All profits are to go into BELLACX - a new race he's planning for 2014 in Ballahouston Park. 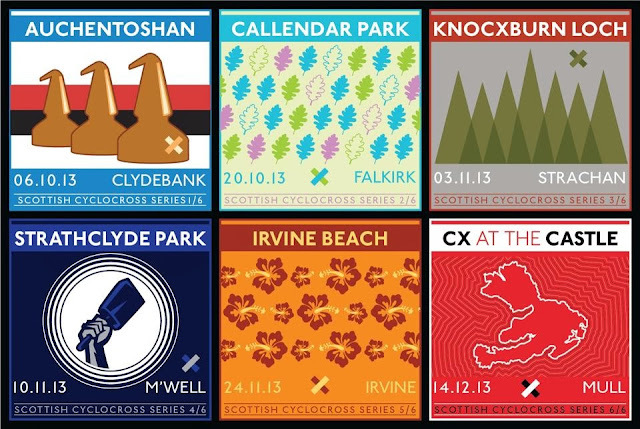 Just to clarify the £35 print is a large print of the SCX series (not quite the full set of posters. i.e. not the non-series races) though all posters are a available as individual prints (290mm square).